I, B. C. Hill, a Notary Public in and for the County and State aforesaid do certify that Dr. R. E. Bryan this day personally appeared before me and on his oath says that the foregoing list of citizens is true and correct to the best of his knowledge and belief. Given under my hand this the 24th day of Feby 1886. 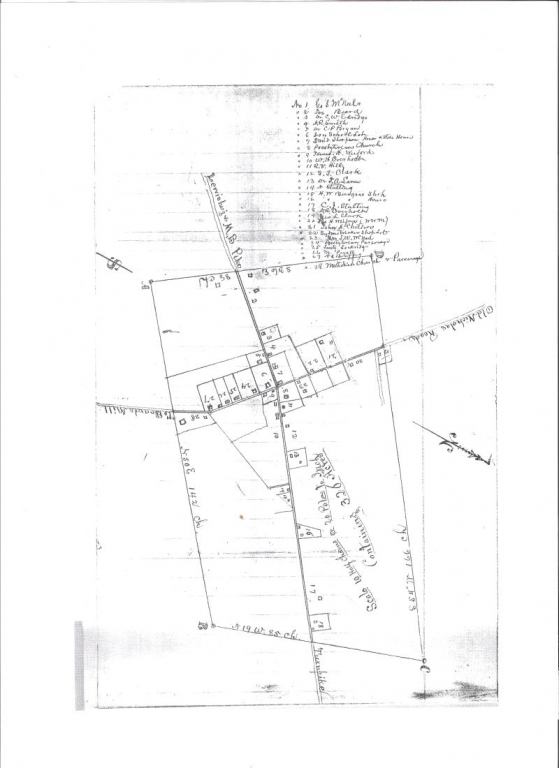 A certificate under oath of N. S. Bruffy, Saml T. Clark and A. R. Smith was this day filed, showing that a majority of all the qualified voters residing in the following boundary to wit: (Beginning at a Locust tree on the lands of G. S. McNeel and running N50 E 142 chains to the residence of James Jordan, then N19 W 85 chains to a stake on the lands of Caleb A. M. Edgar, then S54 W 166 chains to a stake near a lime kiln on the land of Joseph Beard then S 36 E 88 chains to the beginning and containing 326 acres. Said boundary is situate in District No. 4 of said County and State.) have been given in did (sic) form of land in favor of the Incorporation of the village of Hillsboro in the County of Pocahontas bounded as herein set fourth and it appearing to the satisfaction of the Court that all the provisions of Chapter 47 of the Code of West Virginia have been complied with by the applicants aforesaid Incorporation. The said village is duly authorized within the corporate limits aforesaid to exercise alll the corporate powers conferred by the said chapter from and after the date of this certificate. Names of Persons within the limits of the proposed Incorporation of the village of Hillsboro, voting at the School House in said Hillsboro in District No. 4 County of Pocahontas and State of West Va, this 27th day of March 1886. Given under our hands this the 27th day of March 1886.